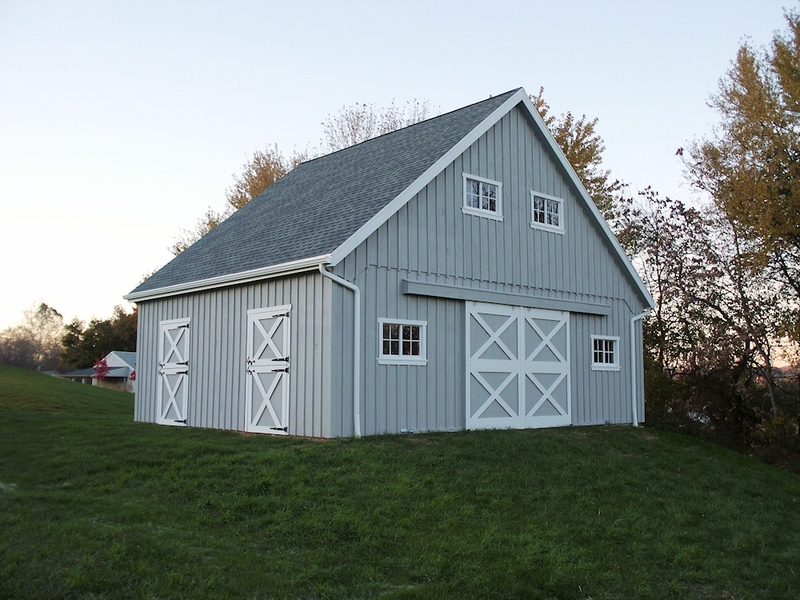 DESCRIPTION: This plan is for a simple 30'x24' horse barn with full hay loft, 10/12 roof pitch, (3) 10'x12' stalls, (1) 10'x12' storage room and 10'x24' center aisle. 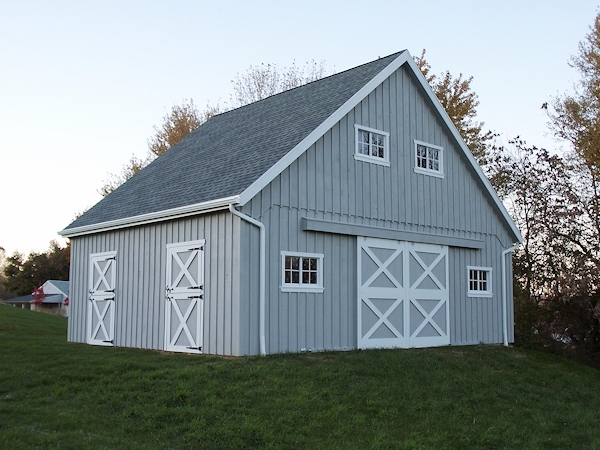 This barn was built with Pine vertical siding and shingle roof. Images on this page are slightly different from the actual print. On the print, we have added extra loft door in the back and also added an optional cupola on roof. 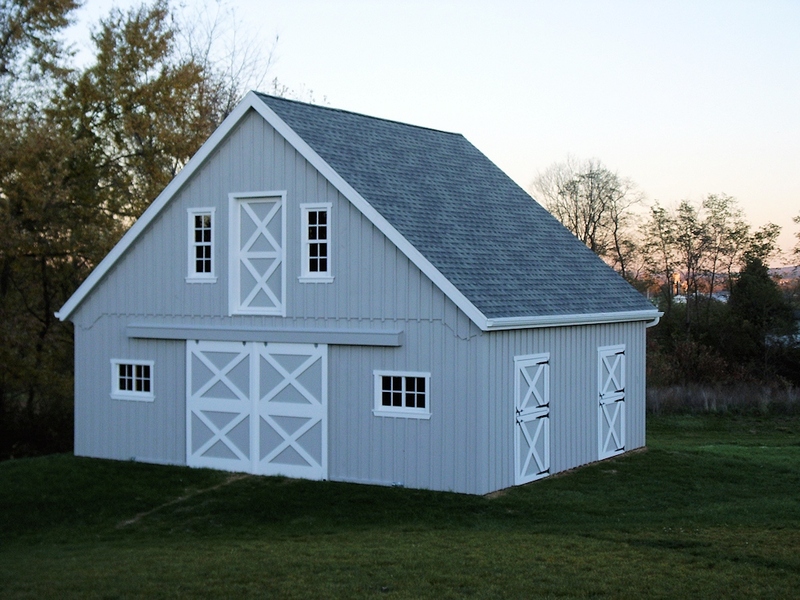 Your contractor does not have to install this extra loft door or cupola if they are not needed.